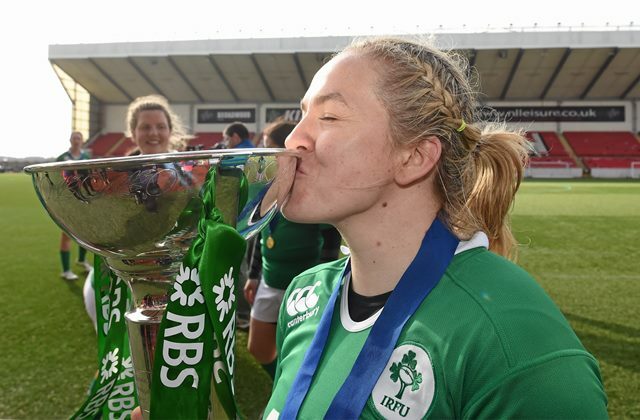 Earlier this year as Ireland Rugby Captain Niamh Briggs held aloft the Women’s Six Nations Rugby Championship Trophy, following an incredible tournament, staff and students at Waterford Institute of Technology’s School of Health Sciences had particular reason to be proud of the Dungarvan woman’s achievements. As a graduate of the School of Health Sciences, Niamh completed a degree in Exercise and Health Studies and also got her first taste of competitive women’s rugby at WIT. Reflecting on her time at WIT, Niamh acknowledges that it set her on the path to international sporting success. Waterford Institute of Technology’s School of Health Sciences provides a broad range of programmes. Recreation, coaching, exercise and health promotion are studied at the Department of Health, Sport and Exercise Science, whilst nursing and allied health professions are the focus of the Department of Nursing and Healthcare. With state of the art sporting facilities on campus, students also have access to the Waterford Regional Sports Centre track and a 25m pool at the Waterford Crystal Sports Complex, both adjacent to WIT’s Main Campus.